Above: Native to New Zealand and Australia, Clathrus archeri is also known as devil’s fingers. It is what’s known as a phalloid fungus. Mother nature is one creative SOB. She has quite a collection of completely unbelievable, totally mind-blowing creatures and things you’ve probably never heard of (science continues to discover new species of plants and animals all the time). This delightful blob of what appears to be a creature from another planet qualifies as just such an oddity. Yes, Mother Nature came up with this one and yes, you could come across it at some point in your life. But unlike most of its fungi brethren, devil’s fingers doesn’t sprout straight from the earth. Instead, it begins life in a kind of egg sack. As it matures, the sack is breached by a number of terrifying red tentacles. At first glance,they look like some kind of demon reaching up from the underworld, but they’re actually totally benign. The four arms are coated in a sticky, strong-smelling tissue meant to attract flies. However, the fungus is not carnivorous. Instead, it contaminates the flies with its spore, turning them into agents of dispersal. And another cousin, the Pseudocolus fusiformis, which looks like the progeny of some horrifying squid monster. As amazing as these are, I was even more stunned to learn that devil’s fingers are actually considered a delicacy in some areas. Personally, I think I’ll just appreciate them from afar, thank you very much. 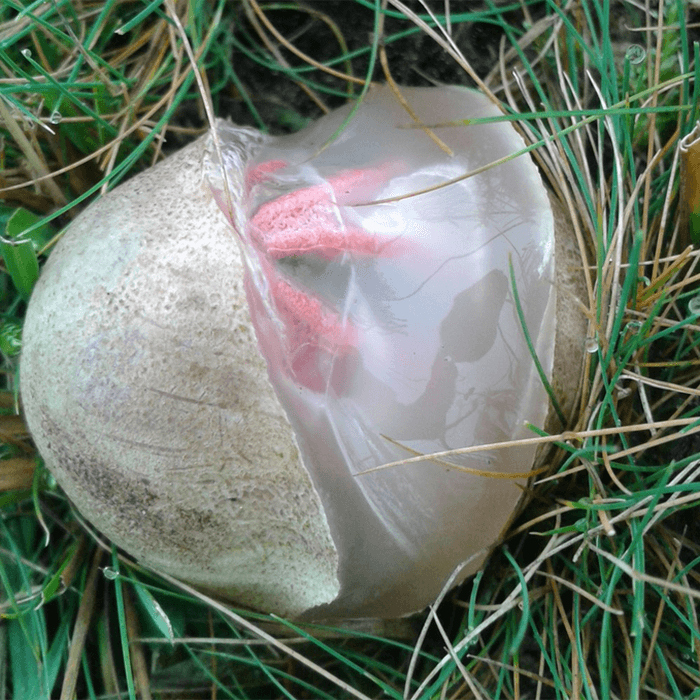 It’s scientific name is Clathrus archeri, but it is also known as a phalloid fungus or, its cooler nickname, “Devil’s Fingers,” and it lives down under. So if you’re in North America, we probably gave you an unnecessary scare. Freaky First : This thing is ugly AF in its early days. It hatches from this egg-like sack as you’ll see in the video on the second page. It’s amazing to see a plant hatch like a bird, but that’s one more cool thing about mushrooms: they are all different and insanely interesting. Effing Terrifying : Once the thing is hatched, prepare to witness something out of a horror flick. The tentacles or “fingers” spread apart to reveal a sticky interior. It literally looks like the devil is climbing out of the ground. Sticky Stuff : This plant is carnivorous and eats flies. The tar-like sticky coating on the fungus is both attractive and deadly to the unsuspecting insects. The thing just sits there and stinks, attracting flies. It literally reeks. When a fly comes close, it contaminates it with its spore, turning the fly into a zombie carrier of the plant’s seed. Sadistic AF.